Nothing beats the comfort of a hearty soup on a cozy winter’s day. Well, you could add wine to the mix! 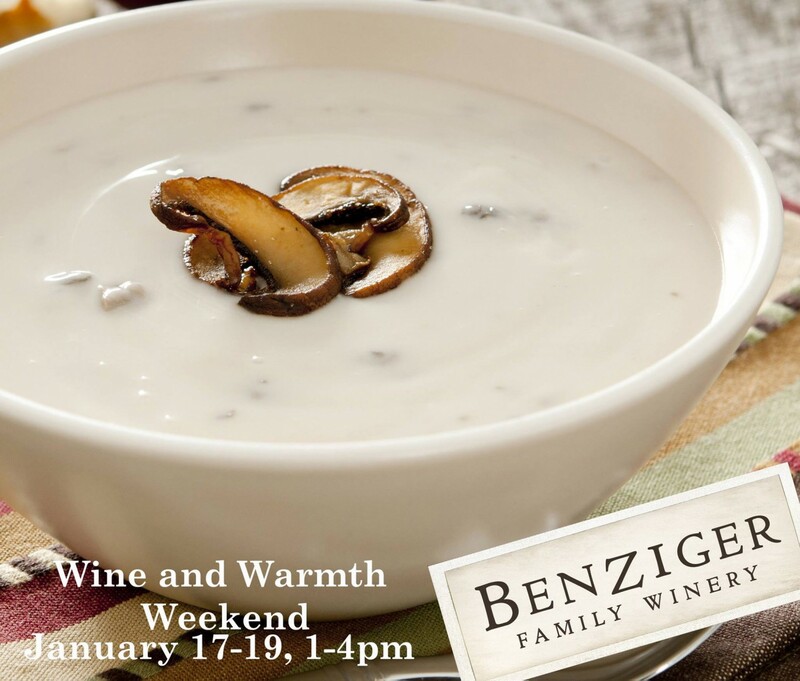 Please join us January 17-19th for a complimentary pairing of Mushroom Soup and Pinot. It’s free to our club members and complimentary with a paid tasting. The event will talk place from 1-4pm this Saturday to Monday. Please call 800-989-8890 for any questions. Mushrooms are extremely versatile for food and wine pairings. There are meaty mushrooms and there are earthy mushrooms. Just like Pinot Noirs can have meaty or earthy characteristics. We will be unveiling the 2013 La Reyna, which translates to “The Queen”. This Pinot possesses a royal richness to it. The nose has sea air, bing cherries and pomegranate. It is so silky and drinkable that you will think there is a hole in the bottle. To get you in the spirit for our winter food pairing, below is a list of our favorite Mushroom-based dishes to pair with Pinot. Tagged mushroom pinot pairing, mushroom soup, wine and warmth weekend, winter wine pairingBookmark the permalink.